Look, I’m just spitballing here, but maybe turning a franchise about an enforced violent battle to the death among teenagers isn’t really the best idea for a theme park? 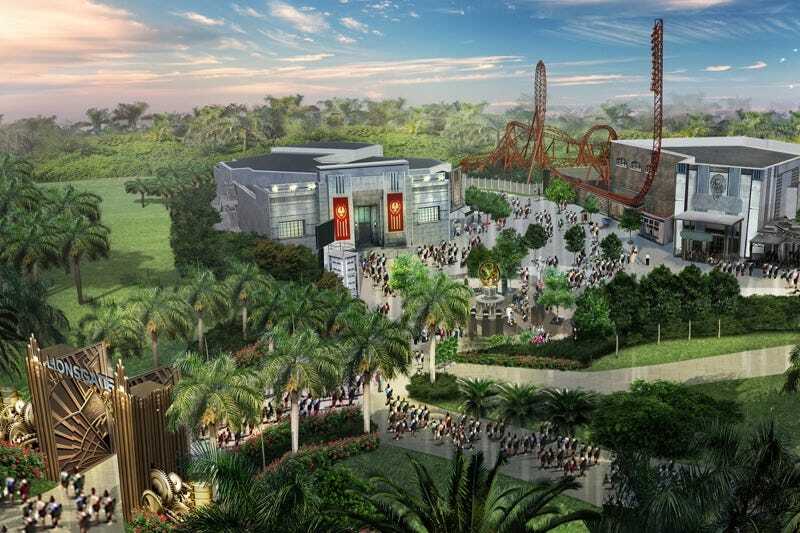 Admittedly, that is apparently a problem Lionsgate had when it first began developing the idea for a theme park based on the smash-hit franchise shortly after the first Hunger Games movie came out, but they’ve gotten around that it seems. Plans are underway for the adventures of Katniss and her pals to become the anchor for several new theme parks across the US and China, alongside rides based on other Lionsgate properties, such as their other young adult adaptations Twilight and Divergent, as well as the dance movie franchise Step Up, and Now You See Me, a 2013 movie about illusionists who pull off a heist with their magic skills. Okay, now I can see why The Hunger Games theme park sounds like it would be a SPECTACULAR idea in comparison. Save us, Katniss Everdeen, save us from Bella and Edward’s Tunnel of Highly Problematic and Extremely Creepy Love! Lionsgate has yet to set a solid date for their theme park plans, but two locations are already being shopped around: Atlanta and Macau. There are no details yet about what sort of rides you can expect (although to be fair, some sort of archery shooting range could be pretty cool! ), but there better be a refreshment stand that sells nothing but Peeta’s baked bread.